XLR8R recently premiered a full stream of ‘Landside Part 1’, the debut EP from Hunter/Game’s new band project Landside with Kúra coming out on 28 August. 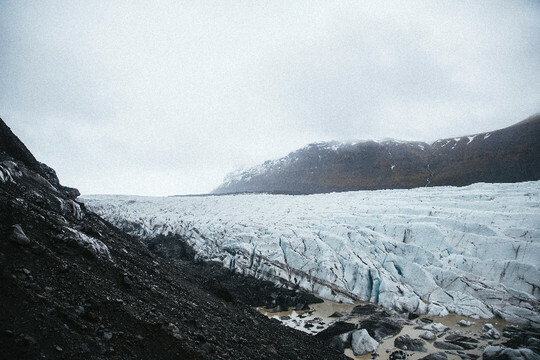 Landslide is the first collaboration between Italian producers Hunter/Game and Icelandic duo Kúra. Kúra’s electronic dub work and Hunter/Game’s techno and house roots form deep, melancholic ambient music with an intense central groove, as Fanney Osk’s vocals interweave with melodic synths. ‘Landside Part 1’ is a journey into various ranges of soundscapes, merging abstract atmosphere with emotion. Max Cooper’s remix of ‘Still There’ is an eclectic vision of a deep flow, with vocals floating over a strong, dark bassline. Benjamin Damage’s remix of ‘Silence Before the Storm’ is a straight techno tool, digging groove lines into ambient melodies and mellow vocals. Landside recently announced two forthcoming EPs (released 28 August and 11 September) debuting on Hunter/Game’s label, Just This, with remixes by Max Cooper and Benjamin Damage on the first EP, Avatism and Extrawelt remixes on the following EP, with more music and a music video to follow.